In 1878 prospector George Lufkins discovered a nice bit of silver ore on his claim in southern Sierra County. Unfortunately for Lufkins, he never realized the significance of the find, selling his claim for a mere ten dollars and fifty cents. A few years later, two miners working the same claim struck a rich silver vein which they promptly sold for a hundred thousand dollars. Two days after the purchase the new owners followed the vein farther and broke into a subterranean room called the Bridal Chamber, one of the richest bodies of silver ore ever discovered. All of the ore was within 30 feet of the surface. The ore was so shallow in places that small scale ceiling collapses were common. However, as so often happened in the old west luck and tragedy came in on the same stage. George Daly, the owner of the mine was killed by Apaches the same day that the Bridal Chamber was discovered. 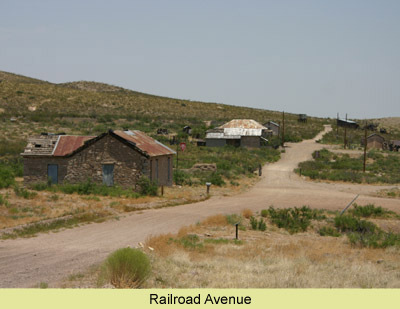 The Town of Lake Valley began in 1882; after relocating the original town site of Daly, which was started a year earlier. In true mining town exuberance, Lake Valley quickly grew to a population of over one thousand people and played host to the usual assortment of saloons, hotels and shops. It also had a stamp mill, smelting works, three churches and a school. A stage service ran between Lake Valley and Nutt, giving access to the A.T and S.F Railroad. The line was later extended to Kingston and Hillsboro to the north. Lake Valley today probably comes the closest to being what the general public expects a ghost time to look like. 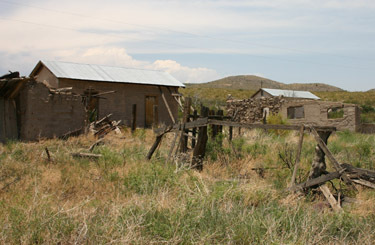 The town site features several standing structures, many foundations and general artifacts. 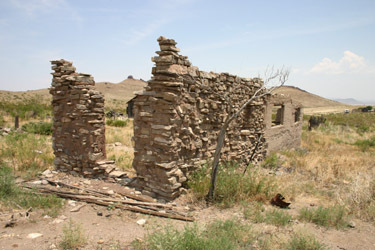 The Bureau of Land Management is presently engaged in preserving and stabilizing the site. 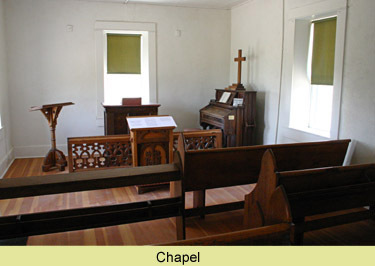 Two buildings, the schoolhouse and chapel, have been totally restored and are open for viewing. 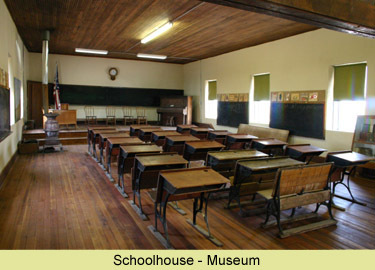 The schoolhouse also serves as an on-site museum with a good collection of artifacts, maps and photos. Brochures are available at the schoolhouse which outline a 45 minute, self-guided walking tour covering all the major points of interest. An on-site BLM caretaker available to answer your questions during regular hours. The town site is open for visitation from Thursday to Monday, 9:00 am to 4:00 pm, closed Tuesday and Wednesday. From New Mexico Interstate 25 take exit number 63 west towards Hillsboro - Silver City. At Hillsboro turn left on NM-27 and follow it south for approximately 17 miles. A road sign will direct you left, down a dirt road and into the town site.